Another new Jetthead story, this time from a 15 year old from Sweden. (Another Jett Eye Lock too.) Welcome to the fandom! It all started in december when my friend sent me a text saying that joan jett was comming to sweden, I got really exited and looked it up. 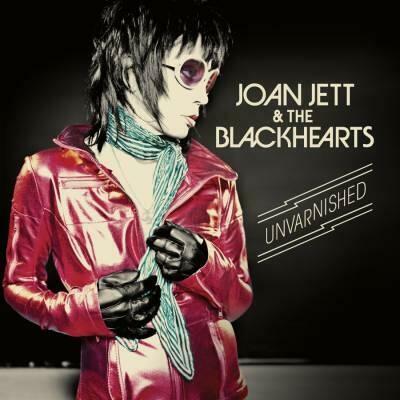 Joan Jett was comming to Sweden rock festival!!! I begged my dad that he would go with me since it was 4 hours away from where I live and I’m 15 so a bit hard to get there by myself. 6 months later on june 9th me and my dad got up in the morning and drove off. I was so exited, about one hour before joanie was going to play I was at the very front pressed against the fence I started to talk to another jetthead that was there to 🙂 and at the side of the sceen I saw joan standing we all started shouting and cheering. At around 3 a clock she went on and she was so beautiful and amazing ♥ At one point during crimson and clover I swear she looked me in the eyes and it was soo cool. I believe it. Thanks for sharing! This entry was posted in Concert Reviews and tagged Joan Jett, Sweden, Sweden Rock Festival. Bookmark the permalink.